TkResolver++ is a suite of software for conducting experiments into psychokinesis (the more general and subtle form of telekinesis.)  It uses the output from a random number generator (RNG) to determine the course of a line as it is drawn down the computer screen. Experiments consist of an operator who attempts to influence the behaviour of the line-drawing. The software records in a database the operator's details, the experimental variables and the observed results. The suite includes programs for conducting visualisation and statistical analysis of the database. Version 0.7.0 released. The focus of this release it to bring the software to a state where it is usable in laboratory experiments. A great deal of work has been done to identify and eliminate possible bugs effecting the integrity of random data. Added new retriever for id Quantique Quantis quantum random number generators. This hasn't been tested as I don't have access to hardware; feedback is requested from those who do. Instructions are included in the file README.Quantis. There is a retriever included for a Psyleron REG-1 hardware random event generator. However, it is disabled by default as Psyleron are unwilling to help and won't disclose whether the data that's coming from the device is random data or post-processed data as described in their patent. During development of this release, a critical bug was discovered whereby randomness retrievers would repeat random bits from only the first retrieved character. The bug is now fixed but it means that all experimental data collected using versions of TkResolver++ prior to this release are invalid. Registered GNU Savannah project providing subversion, bug tracking and task tracking. Version 0.5.4 released. Changes include a new randomness driver for HotBits. Dependencies not satisfied are cURLpp and libodbc++. There are no Debian packages for these and so they must be compiled and installed by hand. The Araneus Alea I USB hardware true random number generator. The id Quantique Quantis PCI or USB hardware quantum random number generator. TkResolver++ is still under development. Hard hats are necessary to avoid falling bits. The latest development tree is available through the Savannah subversion repository. This is an older generation of TkResolver++ that uses static groups of experimental variables and hence is less flexible. It also uses mysql++ rather than libodbc++ and so is limited to using mysql databases to store results. Bug reports should be submitted through Savannah. 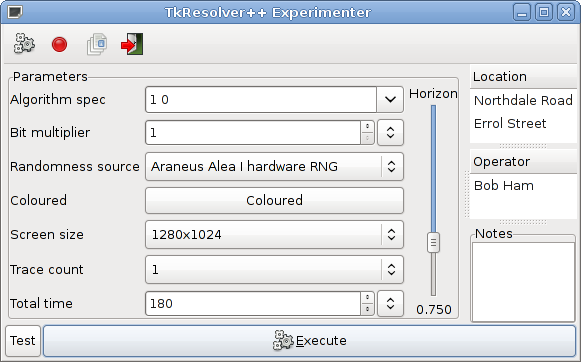 TkResolver++ is released under the terms of the GNU General Public License, version 3.